Four Corners Classware offers teachers a new way to present the Student's Book material in class, requiring only a computer and projector. Four Corners Classware also includes the video, the class audio, animated audio scripts, and a link to Cambridge Dictionaries online. 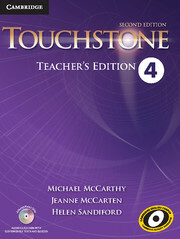 Notes on how to teach with Four Corners Classware are included in the series Teacher's Editions. The Four Corners Classware Site License Pack, All levels includes all levels of Four Corners Classware and allows users to install the software on as many computers as they wish at one physical address.